Water resource management throughout the world is a very complicated issue, involving various aspects and dimensions and a well-coordinated set of policies. A well-designed water policy is a multi-faceted concerted intervention, which could be specific to just one set of political and physical socio-economic conditions. A framework to analyse the interaction between policy design and implementation can assist in improving both of these in various physical, economic and political situations. 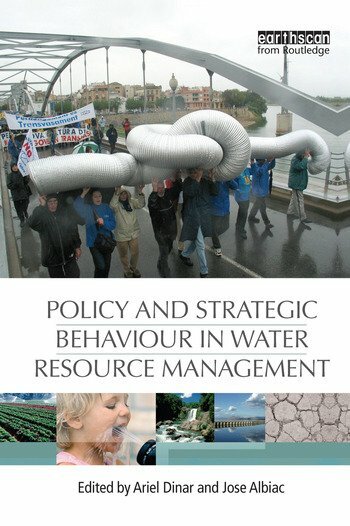 This book focuses on the interaction between policy making and strategic behaviour of policy makers, water users and other stakeholders, and how policy analysis and other analytical tools from the field of game theory and negotiation can improve policy design. The book presents analysis by high-level policy makers and policy analysts from various countries, to share experience regarding specific policy issues that are relevant to almost any country in the world, but may have been addressed differently in each country. Ariel Dinar is Professor of Environmental Economics and Policy, and Director of the Water Science and Policy Center, University of California, Riverside, US. He was formerly Lead Economist and Co-ordinator of Climate Change Research in the Development Research Group at the World Bank in Washington DC, US. Jose Albiac is a Senior Researcher at the Agrifood Research and Technology Centre (CITA - Government of Aragon), Zaragoza, Spain.